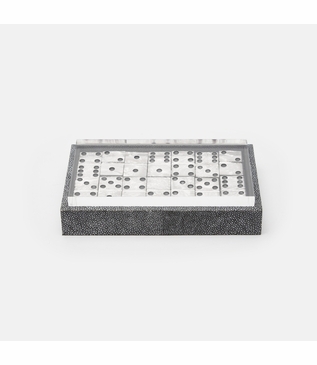 This beautiful faux shagreen box is topped with a clear lucite lid and holds a domino set that is almost too pretty to play. 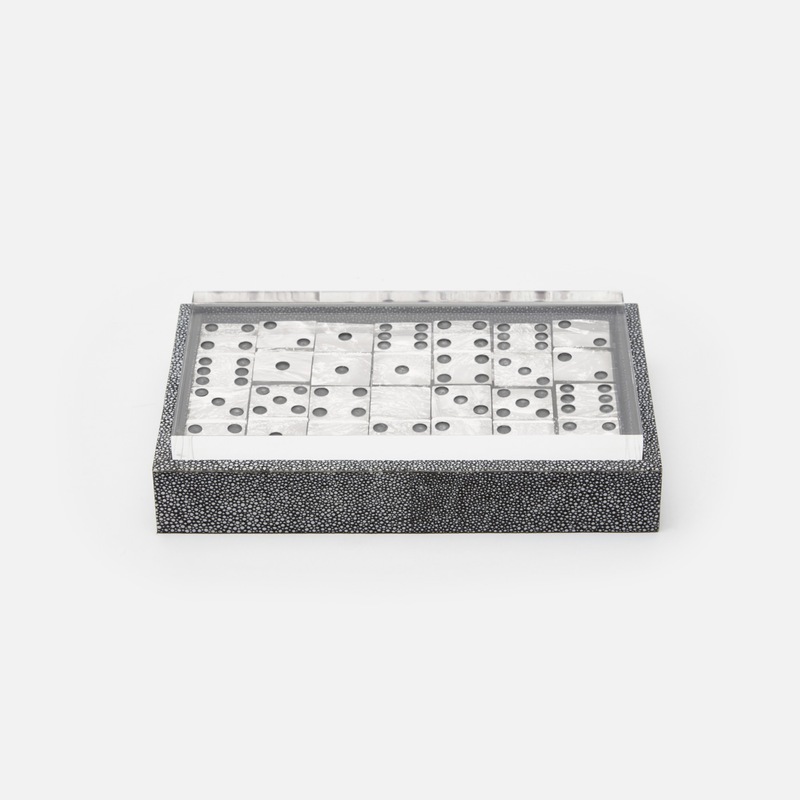 Each domino is exquisitely formed of light-colored resin. Makes the perfect gift or a swanky addition to your game room decor. Size: H: 2" • L: 8" • W: 5"